You are currently browsing the archives for the day Thursday, February 16th, 2017. The Arundel St and main entrance to The Store Studios, 180 Strand; the central hub of LFW, have been painted in Nicoll Blue to honour the designer after his sudden passing in October, 2016. The 39-year old died from a heart attack in his home town Sydney. Born in London and brought up in Australia, Richard Nicoll graduated from Central Saint Martins MA in 2002. His entire graduate collection was famously purchased by Dolce & Gabbana right after. He launched his eponymous label in 2005 and quickly found fans in the likes of Kylie Minogue, Kate Bosworth, and Julianne Moore. He emerged as a member of the new wave of London talent, whose original take on modern sportswear fused with relaxed tailoring won him NEWGEN sponsorship in 2006 and three Association Nationale pour le Développement des Arts de la Mode (ANDAM) awards. 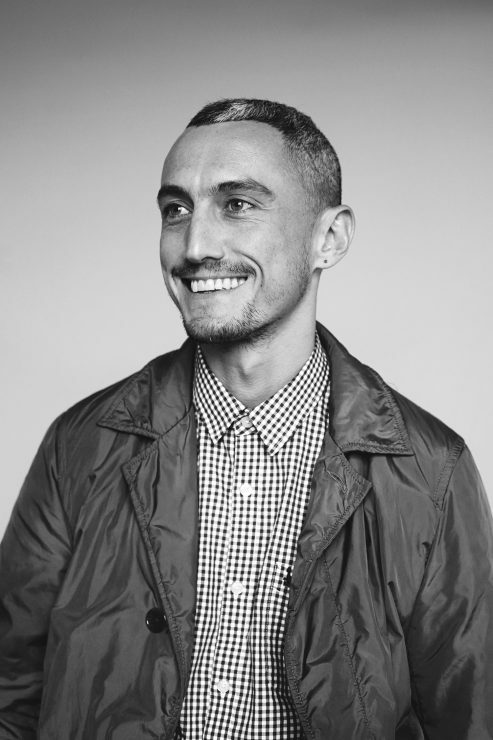 His experience beyond his eponymous label included freelance design for Marc Jacobs at Louis Vuitton, the creative direction of Cerruti 1881, Fred Perry and later of youth label Jack Wills. In June 2012 he launched his debut menswear line at London Collections Men (now London Fashion Week Men’s). In 2015, he shuttered his namesake company and moved from London to Sydney. Before his death, he had been preparing to start a new job as creative director at adidas in January 2017. 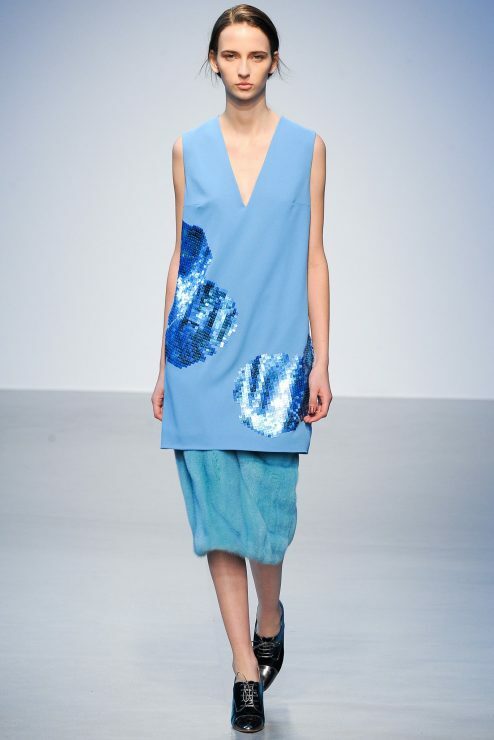 Richard Nicoll loved blue, here a look from his F/W 2014 collection. To honour Richard, a minute’s silence will be observed just before the Central Saint Martins MA show on Friday 17th February. Plans are underway for a multifaceted, retrospective exhibition of the designer’s work to launch later in the year. 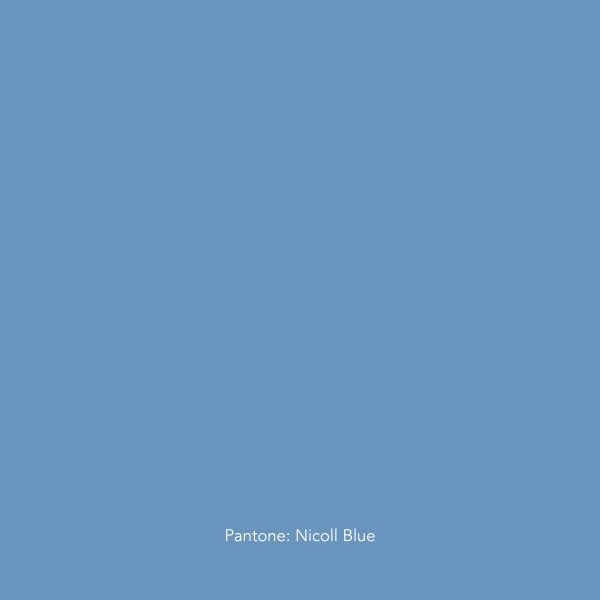 YOU CAN SHOP SOME OF THE LAST PIECES OF RICHARD NICOLL AT THE OUTNET BY CLICKING HERE.